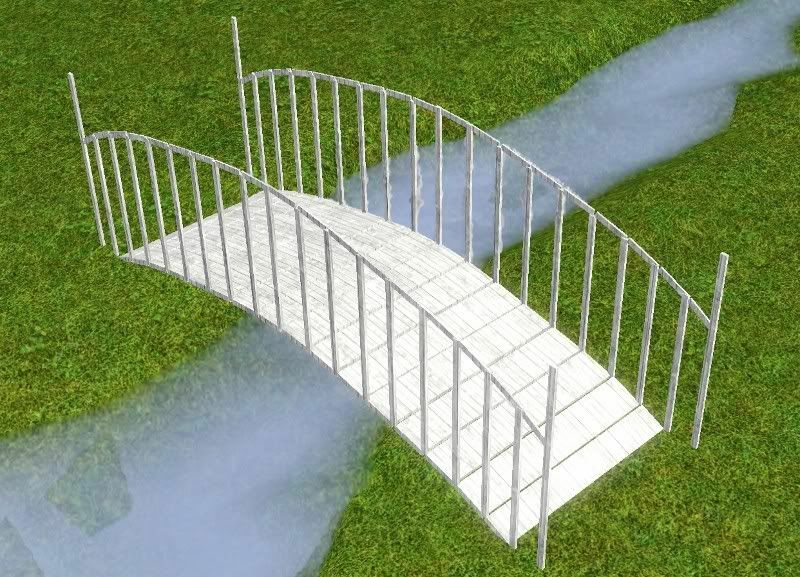 This is The Sims 3 version of my recent bridge mesh. It has 1 channel. Found in decorative/misc. and decorative/sculptures Not too high poly, since it's made up of boxes. 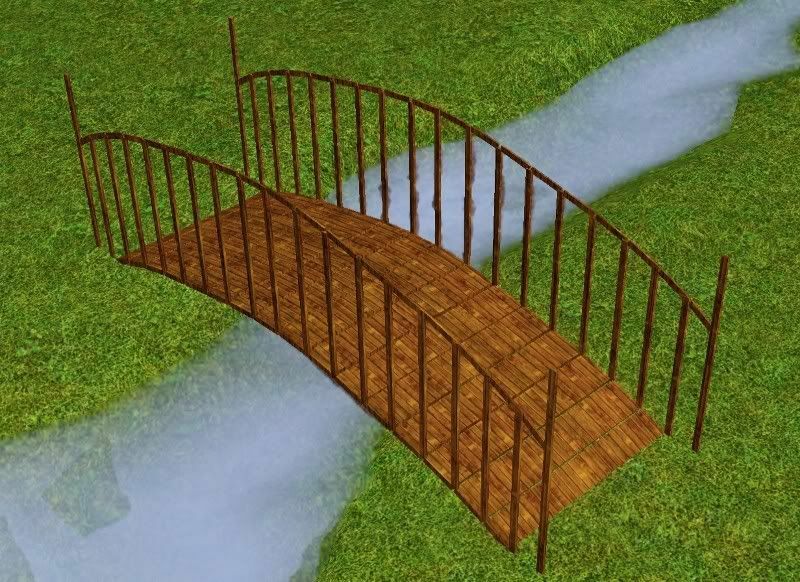 Just like The Sims 2 version, sims can't walk on it, it's purely decorative. 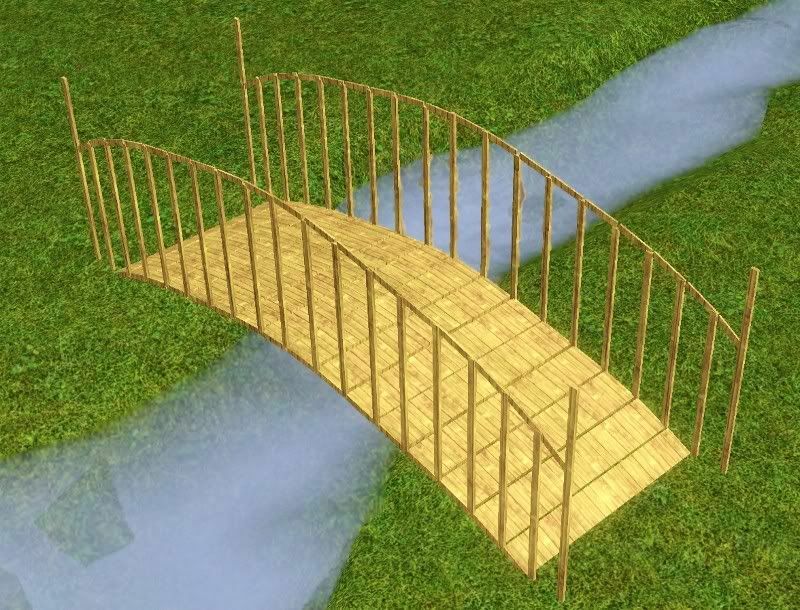 It does intersect water, it's a little bit (but not too hard) tricky getting it to place over water. Enjoy! I just used your link to amazon to pre-order Generations, hope that's helpfull. Oh wow thanks so much, you didn't have to do that, that really means a lot to me.